It is just my drummer and I traveling the country playing our blues/americana music. You can look us up at Heatherluttrell.com. We recently purchased and fixed up and old 1977 Dodge Camper Van, and are skating down the learning curve of RVing! I am an expert in gluten free/dairy free cooking. We are both visual artists, as in we both paint for a living, as well as music. I play banjo, guitar, and kazoo. Craig plays the drums. I am very skilled in social media marketing. I can deliver your baby, change your oil, and cook you a fancy meal, sometimes at the same time. 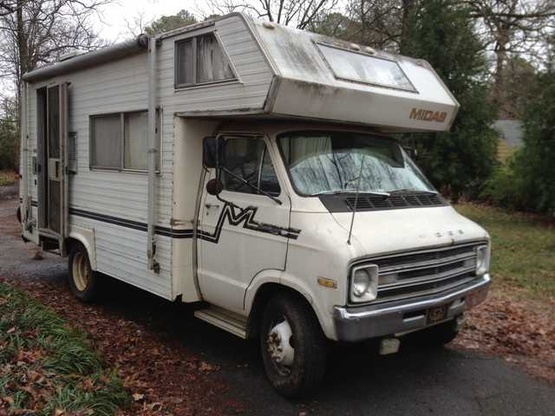 !977 Dodge Camper Van. No slide outs... I don't think those existed when she was born. We named her The Millenium Falson, after Han Solo's ship in Star Wars, but we call her Millie for short.